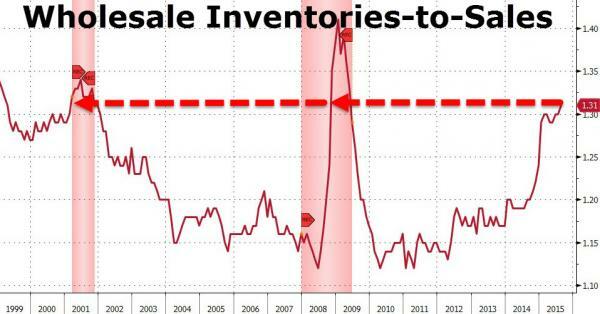 Having risen to its highest level since the middle of the last two recessions, wholesale inventories-to-sales ratio remains at cycle highs at 1.31x. 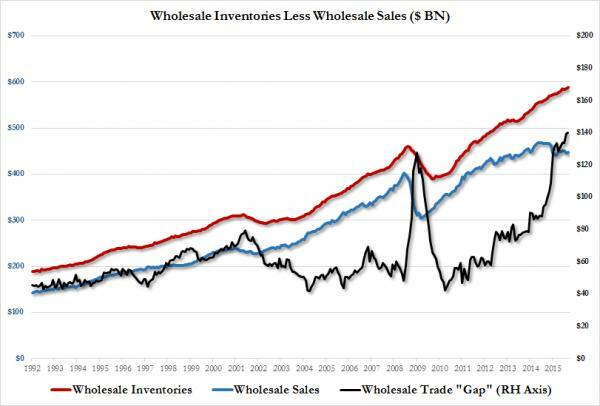 With wholesale sales and inventories both rising 0.5% (both more than expected), however, the absolute difference between sales and inventories has never been higher, leaving either major inventory liquidation ahead (or a miracle in sales). 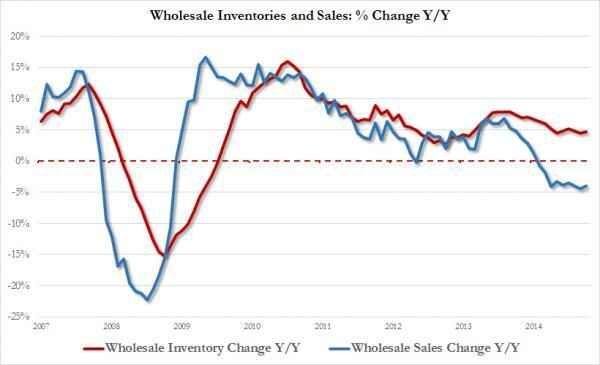 Wholesale inventories have now risen 4.7% YoY, as Sales have fallen 3.9% YoY. Finally, Auto inventories-to-sales ratio dropped very modestly (thanks to the surge in sales), but remains deep in 2008/9 crisis territory. What happens next? 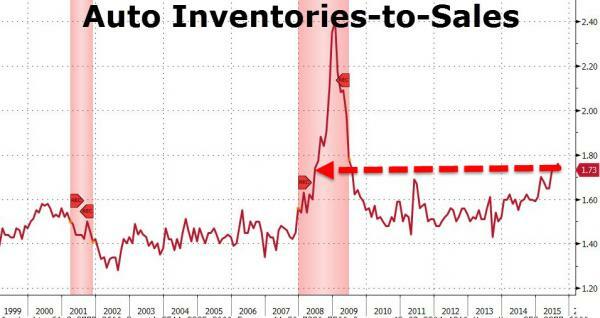 The Fed is the only thing "enabling" zombie firms to carry such huge amounts of inventory... and they are about to leave the party.